Have you been to Iceland? 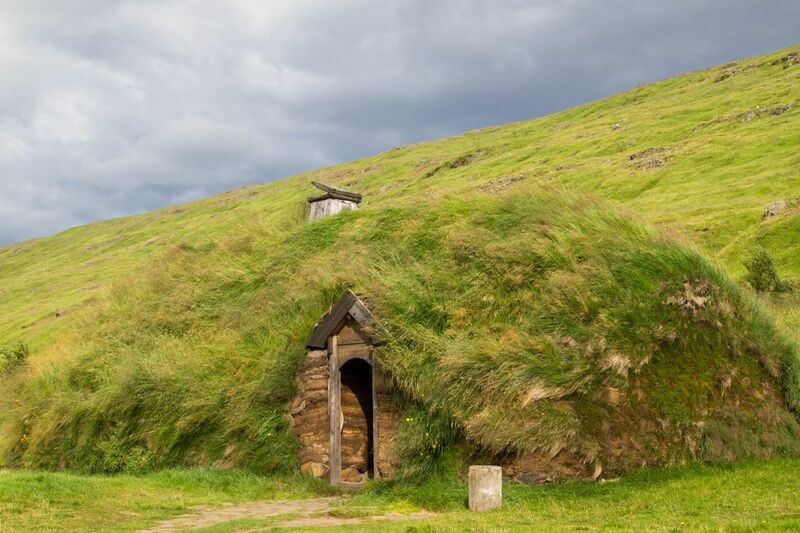 Do you have an Iceland Itinerary to share with us? A few summers back, on a driving trip to Norway to visit some close friends in Stavanger, we stopped in a tourist information office in the Danish ferry port of Hirtshals. 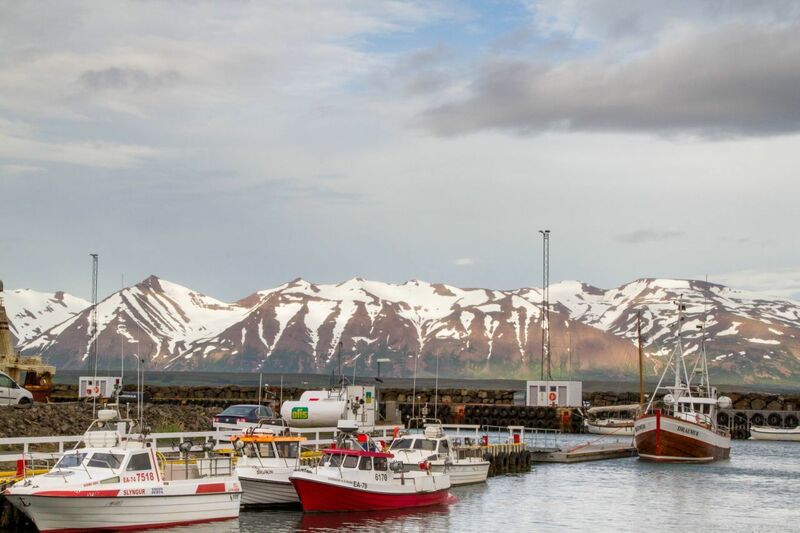 We were surprised to discover that you could take a ferry from Denmark to Iceland. What an amazing adventure that would be! We grabbed the glossy pamphlet and filed away the idea for the future. Well, if you read part one of our Driving Iceland blog post, you know we made that dream a reality. In part one we wrote about the experience of leaving the ferry and beginning the journey. 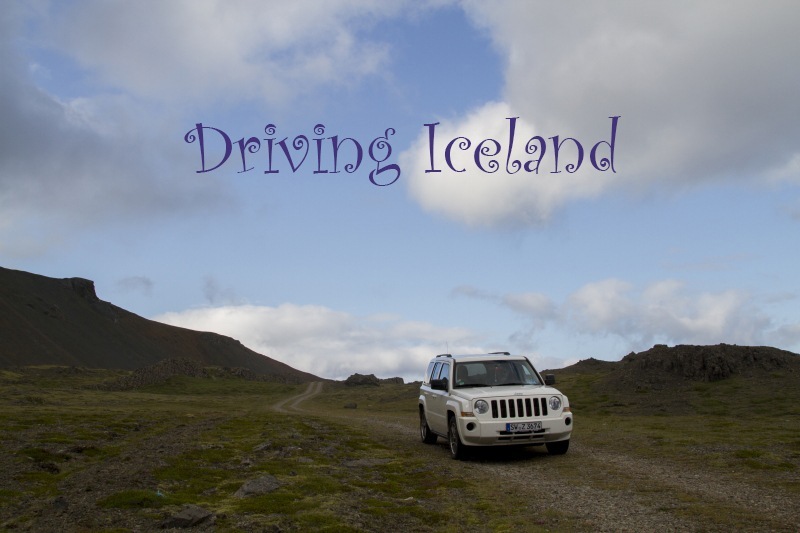 We also tried to give some good driving advice, as driving in Iceland is different than most other places and there are some important rules of the road to follow. 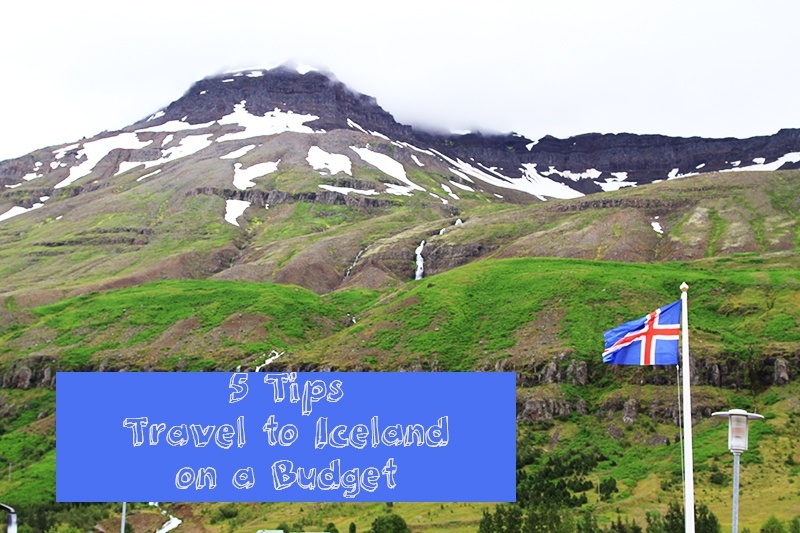 In this part of the blog we’ll explain our Iceland itinerary and outline the route we took. As you can see, it covers the country pretty well in a little over one week. 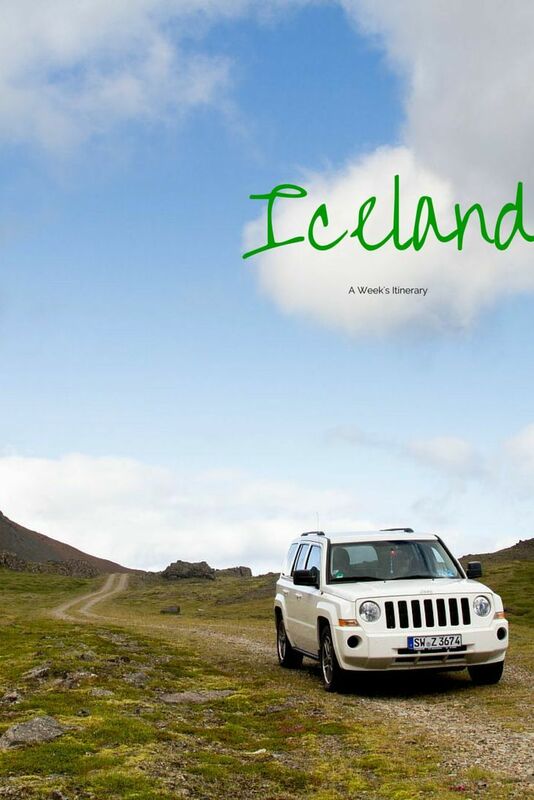 Planning for our Iceland adventure was a little more tedious than other road trips we’ve been on. Early on we discovered it would be difficult and time consuming to arrange accommodations along our planned route. Iceland is not a backward country but for some reason finding solid information for hotels, farm stays, or campgrounds was difficult. 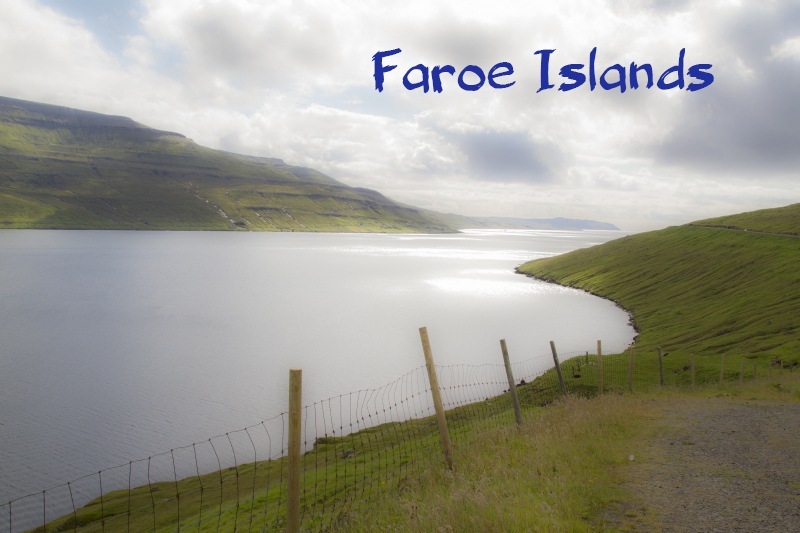 It was going to take a determined effort of phone calls and letter writing to make all of the arrangements we wanted, so in the end we decided to go with the itinerary offered by the ferry company. The accommodations they offered were also available online for individual booking but we found the pricing was the same either way and in some cases even higher if we booked it ourselves! We struggled with this for a few days; we don’t usually like to give up that control and prefer to have some room for flexibility and spontaneity. But we only had one week between arrival and departure; we had to be on that outgoing ferry at the end of the week. 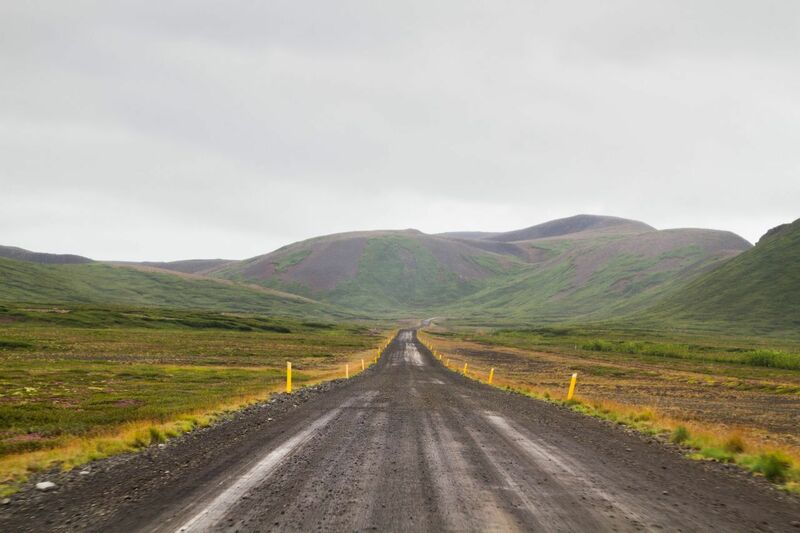 Driving on the open road on a one week itinerary Iceland. Our Iceland itinerary took a clockwise route around the island with some recommended stops and detours in between daily stopovers. We just needed to make sure we were at the next hotel at a decent hour–it’s considered a little rude to leave the desk clerk waiting around so if it’s going to be late it’s recommended to call ahead and let them know. The first day was about 300 km if we followed the itinerary but we really wanted to spend some time among the fjords and fishing villages so probably added on another 50 or 60 kilometers. It was worth it! 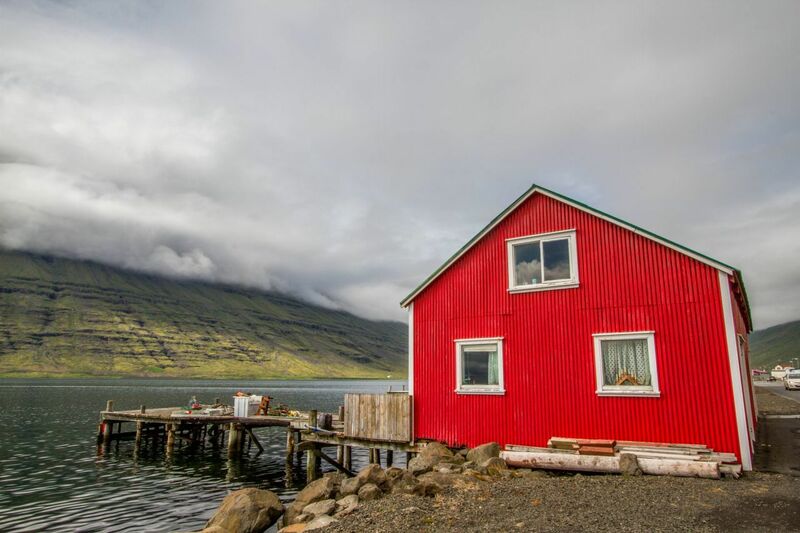 Our first stop was Eskifjörður, a little off the planned route, but the bright red wooden buildings along the waterfront were gorgeous. After snapping off a few shots we were heading back along the ruggedly beautiful coastline. We were a little worried pulling in to the hotel that first night. We had a voucher and it wasn’t too late but were they really expecting us? Would it be comfortable or a real dive? Well, we needn’t have worried. It was clean and comfortable and part of a horse farm, and the restaurant used only fresh, local products. I had a gorgeous fish and Corinne enjoyed some succulent lamb. This was a good start to the trip and representative of what we’d encounter at the other lodging along the route! The brightly painted boat houses along the fjord in Eskifjörður. The second leg of the journey was planned out to be another 300 km day, not too much driving. But this stretch goes past some of the more accessible glaciers in Iceland and it’s hard not to want to explore them as closeup as possible. We spent a few hours winding slowly among the rock strewn tracks leading up to Vatnajökull glacier and enjoyed a snack of peanut butter and crackers along a glacial runoff stream amid the flora and fauna of Iceland. We also went on a short safari tracking down a small herd of reindeer, but we were never able to get within good photo shooting range. After our snack we made our way back to the ring road (Highway 1) and on to Jökulsárlón glacier lagoon. Here we knew we would spend some time. We debated back and forth on whether or not to take the touristy amphibious truck boats for a ride out into the lagoon. In the end we decided to take the tour. This is the best way to get out among the glistening ice and really get up close and personal. 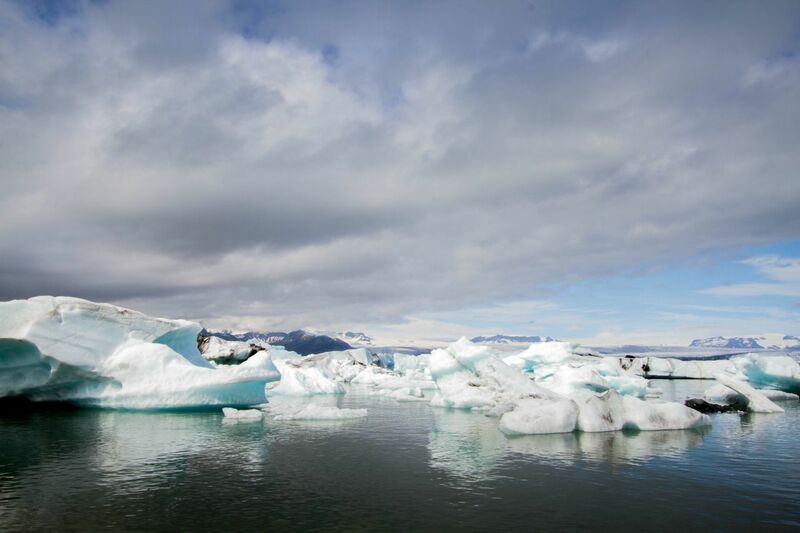 And how often do you get a chance to go to Iceland and boat out among the icebergs in a glacier lagoon? We weren’t expecting much after leaving Jökulsárlón, but this is Iceland and you don’t have to go far at all to get to some other natural splendor, amazing landscape, or awesome waterfall. For us, Eldhraun lava field was a surprise. Our itinerary mentioned it without much by way of a description and the travelers along the road were just driving on through without seeming to notice this fantasy world of moss covered lava. Vatnajökull glacier on the road between Hofn and Vik. The icebergs glisten at Jökulsárlón glacier lagoon. 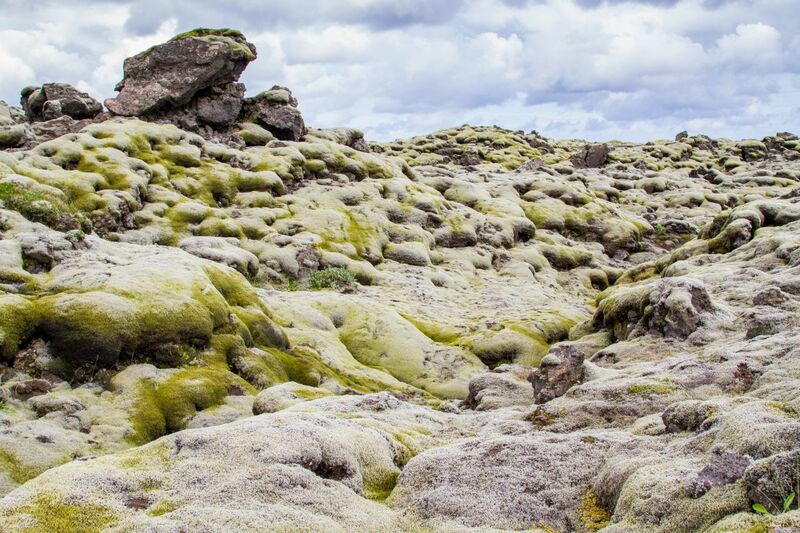 The fairy tale landscape of Eldhraun lava fields. The third day was as incredible as the first two. The landscape had changed but was still beautiful with sparkling waterfalls plunging over sheer cliff faces, long stretches of dark black sand and volcanic ash, and bucolic farmlands. 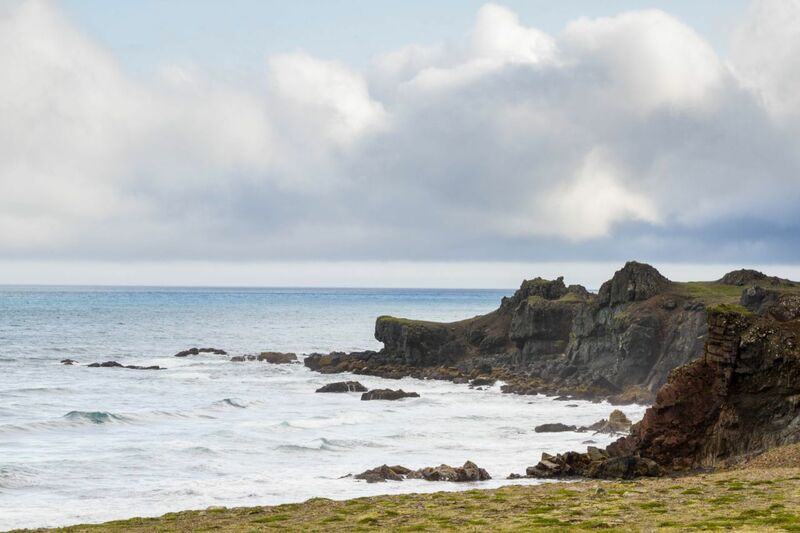 We took another detour from the main route to get to Dyrhólaey a craggy headland that juts out into the sea providing sanctuary for a colony of colorful puffins. Next we enjoyed the scenic drive through rolling farmlands and pastures on our way to Geysir with its bubbling and boiling hot pots and spouts of steam shooting high into the air. Again, just incredible! 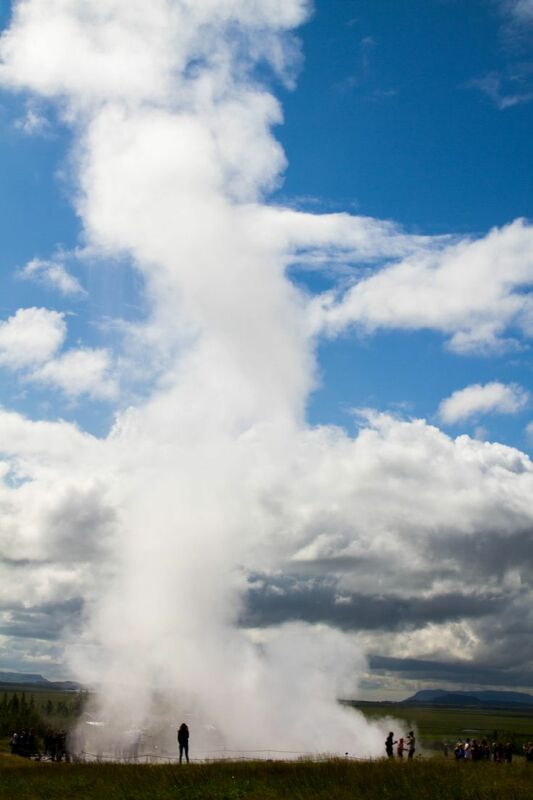 You can get right up to the edge of the geyser here and watch it go through its cycle. After it lets out a strong jet of steam and boiling water the cavity is a drained 6 foot wide tunnel descending into the Earth. As you watch, the tunnel slowly fills up with crystal clear blue water until it’s full and begins to boil and bulge until suddenly–it erupts in an explosion of steam and hot water shooting high above and raining down on those unwitting people, not smart enough to stand upwind. We could have stayed there all day but we had to get on the road to Þingvellir where the American and European tectonic plates collide. 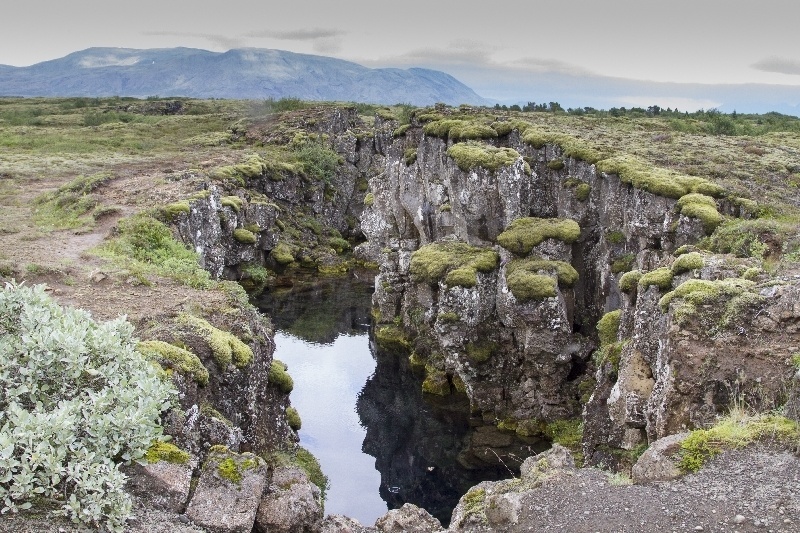 Our three hours of hiking and exploring this fairy-tale landscape of moss covered lava, surprising sinkholes, and mirror like ponds left us determined to make a return trip to Iceland and maybe even go snorkeling along the continental fissures. From this point on we were heading in to the more populated and civilized side of Iceland toward the capital city of Reykjavik. 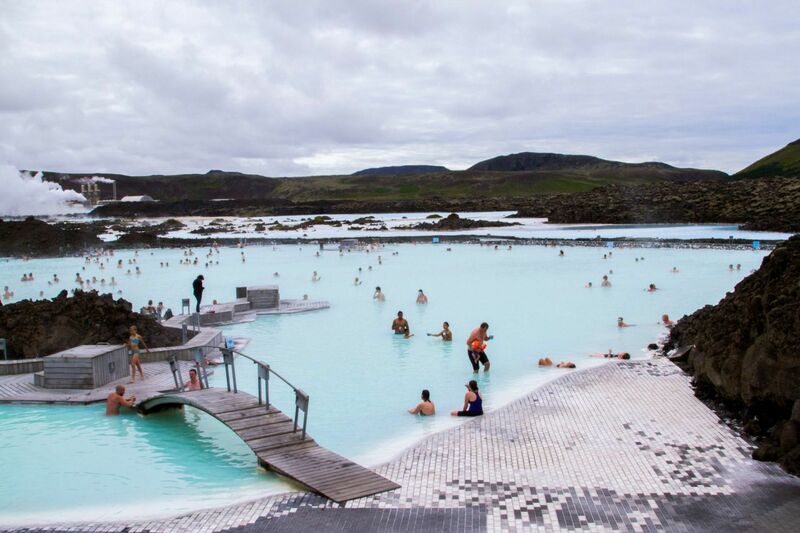 But first we had to take a relaxing stopover at the Blue Lagoon. Here the soothing hot spring water and invigorating silica mud relax the body and spirit in a calming, surreal landscape. We also took another detour to visit Keflavik, a former US military installation that now functions as part of the airport. It is always fascinating for us to see the once familiar sights on a closed base now being used for new and interesting uses. A interesting side note here was that in Riga we went to the KGB museum and one of the exhibits was a documentary covering the day in the life of an Air Force intelligence officer stationed at Keflavik. It’s amazing how worlds collide like this. 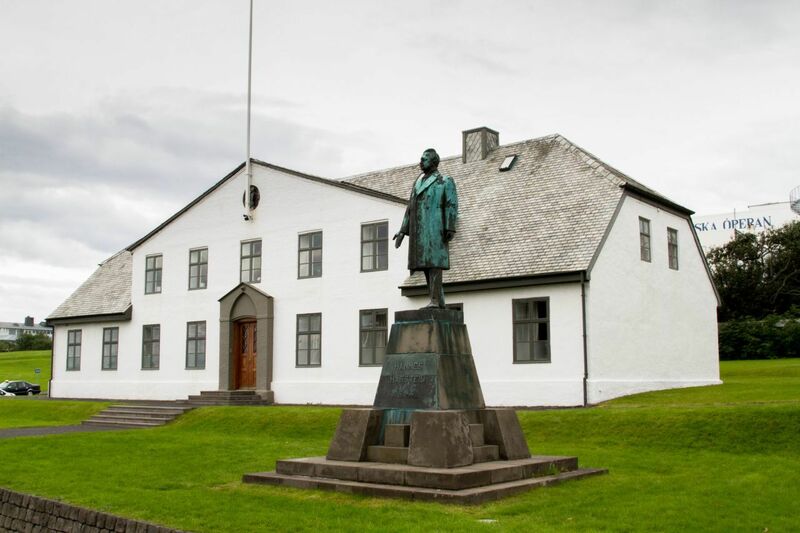 But Iceland, and Reykjavik in particular, has a strong cold war connection. The so-called white house was the meeting place for Ronald Reagan and Mikhail Gorbachev. We spent an enjoyable afternoon in town eating the famous hotdogs and discovering some amazing street art. Then we were back on the road. After Reykjavik we were heading north to the top of the island. To be honest, by this point we thought we had seen it all, what else could Iceland have that would amaze and astound us? Just as had happened in the past few days, the landscapes changed and new and interesting sights met us along the road. 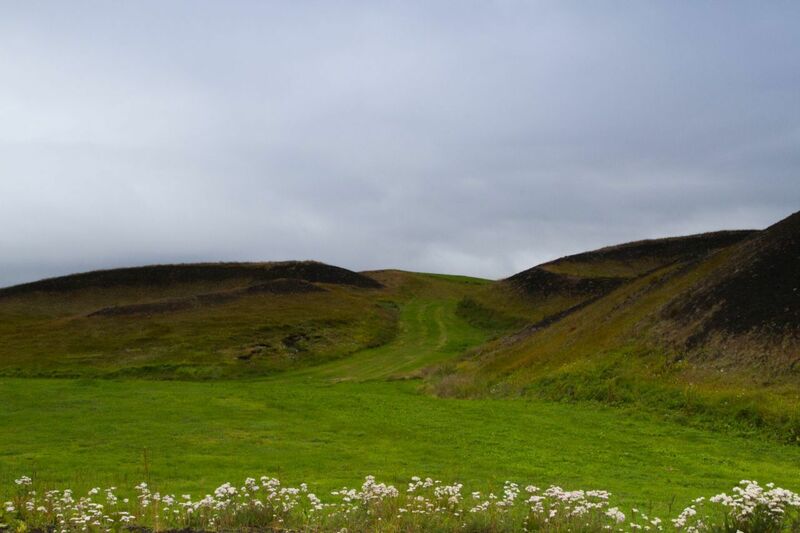 Not wanting to change what we had already started, we took yet another side track away from the planned route, this time to see the historic location of Erik the Red’s farm settlement near Búðardalur. Here a sod house has been reconstructed on the site and a very well done interpretive performance really brings the volatile ages of the vikings to life. From here, we decided to take a chance and take a dirt road shortcut back to the paved route. If the weather had been bad this could have gone terribly wrong but it was a beautiful, sunny day and we enjoyed the solitary countryside with only one or two other vehicles traveling along the track. In the north we were back among fjords and majestic mountains. Here life revolved more around the sea and the active fishing villages are proof to the sturdy hardiness of the Icelandic people. We were hoping to go out on a whale viewing on a small boat but the weather just wasn’t in our favor at this point so we had to give it up. This is where that daily itinerary really locked us in to a plan that couldn’t be deviated from. We would have had to wait for a day and then there’d still be no guarantee the weather would break. So we decided to give in and just spend the time driving along the high cliffs of the coastline hoping to sea whales out at sea. We didn’t, but the mountains dropping into the sea were enough to hold our interest. The highlight in the north for most tourists to Iceland is Lake Myvatn and this was true for us as well. 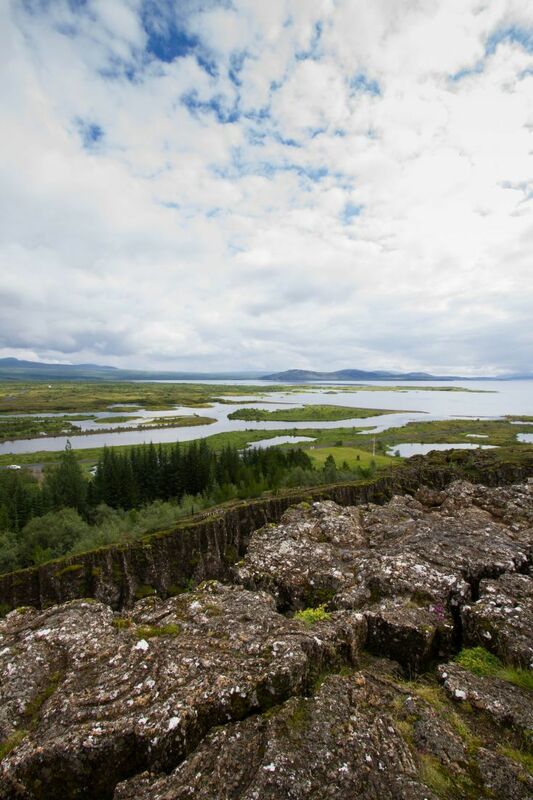 The geothermal activity, volcanic landscape, and bird life along the lake shore are all fascinating. This was an excellent place for hiking and horseback riding. Yes, we finally got a chance to ride on the backs of the famous Icelandic ponies! I’m not much of a rider but Corinne is and she always manages to talk me into doing things on the edge of my comfort zone. The ride along the lake was spectacular and frightening. We saw sinkholes filled with water that had tiny fish living in them. How did the fish get there? Who knows! We trotted and and moved along at too fast a pace for me, but when we took a narrow path along the shifting gravelly edge of a crater that dropped into the lake 100 meters below I just had to trust to the solid footing of my pony and let it go. Of course we survived and came away with a new found respect for these short, stocky horses. We completed our circle drive around the island of Iceland on our eighth day. The drive down in to Seyðisfjörður was just as incredible as we remembered from the day we drove off the ferry. This day we took the time to leave the Jeep and hike among the lively stream that bubbles and falls down the mountain pass and into the fjord below. The views were stunning and knowing the ferry was there, down in the harbor, waiting for us was comforting and a just little sad. Part of me really did want to turn the Jeep around and just keep going down the open road but we took solace in knowing that we were taking away with us memories that would last forever. 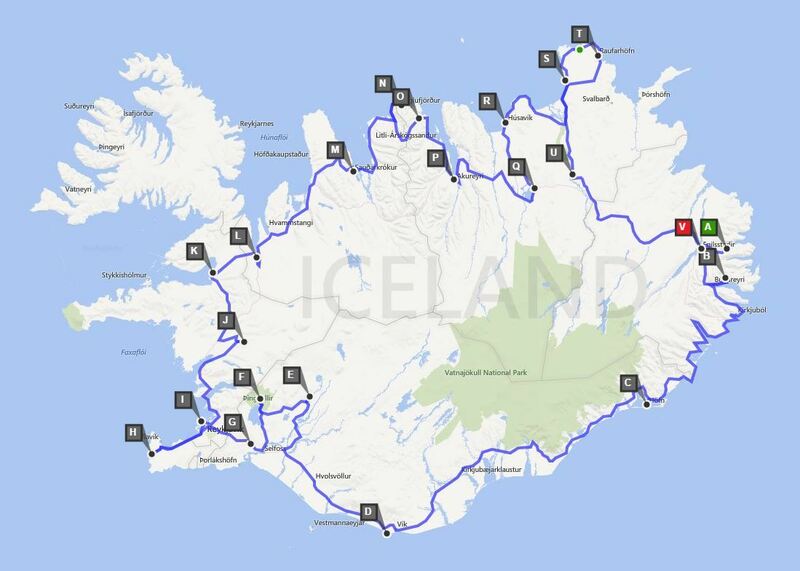 Pin Iceland Itinerary for later! Amazing. Thanks for having us along during your spectacular journey. Living vicariously through you both! Lani, that’s what we’re here for! Thank you! 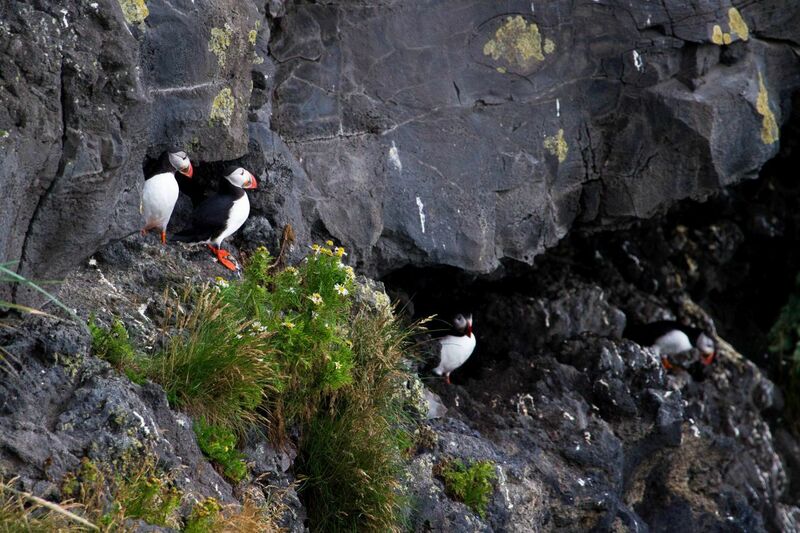 Your shots of the glacier and the icebergs look so surreal, and as for the puffins, they’re adorable. I hope that you get to return and to go snorkelling! Suze, Thanks! Iceland is an amazing destination, but it can be cold…especially in the water! Aww, Iceland is beautiful. I always enjoy looking at puffins, they are so cuuuute! Esther, Puffins are definitely my favorite birds! I’m glad you found us! Gorgeous photos and helpful post, I’m planning on going to Iceland next year and I’ll definitely come back to your post when I start planning. Vlad, thanks for visiting us! I’m sure you’re going to be enthralled by Iceland. We’ll be adding a few more posts about our trip there, stay tuned! Amazing pictures and very helpful route planning maps. With easy connecting flights, we will make at least a stopover one of these days on our way to or from Europe (from the US). Victoria, I definitely recommend getting as much time on a layover as possible. Iceland is fascinating! This must have been a one of a kind trip, Corinne. That dirt road looked sort of scary though… Did you have a 4-wheel drive? Anda, we did have a four wheel drive but it was just a Jeep Patriot, nothing like most of the other off road beasts we saw in Iceland. It does have pretty good road clearance, though, and that was very helpful at times! Colors and atmosphere look fantastic. A corner of the world I’d love to visit one day. Thanks for sharing the journey. Bob, It’s absolutely gorgeous if you like the out-of-doors. 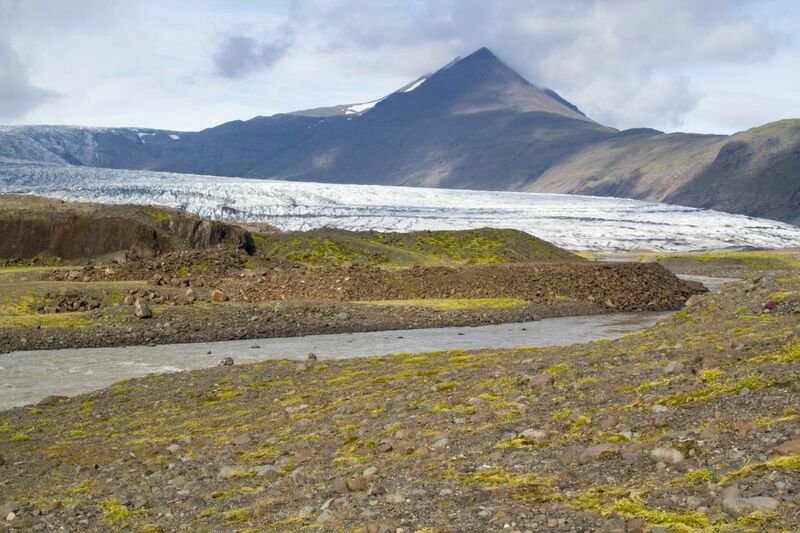 Looks like you had a great time in Iceland and managed to pack a lot into a week! Would love to do this drive one day. By gosh that is a lot of driving – but after seeing those photos – ohhh-so-worth-it! SJ, it was broken up into small drives so didn’t seem so long. Corinne and I love driving in a car and distances really don’t matter since it is more about the time we spend together and the sights along the road. Rob, I do feel eight days was too short. Go for the two weeks! What an experience for the both of you! We absolutely love Iceland and have gone twice. Though, we’ve never stayed long enough to go east or explore the northern part. We’d love to do those next time. I’ve always told people that you need to allocate more time into your driving hours in Iceland because you’re bound to stop at so many places just to take photos. Beautiful photo collection! Mary, That is great advice. We stopped quite often. Iceland is stunning. This itinerary is excately what I was looking for, Jim! Excellent! Glad to be of help. It really is majestic!